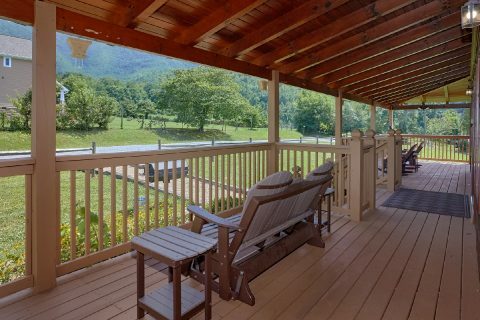 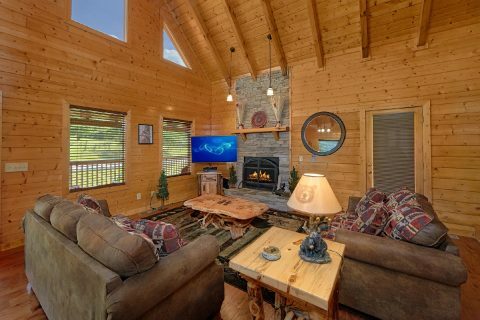 "Honey Bear," a beautiful three-bedroom cabin rental near Gatlinburg, places guests in Wears Valley – a convenient location for all the area's surrounding activities. 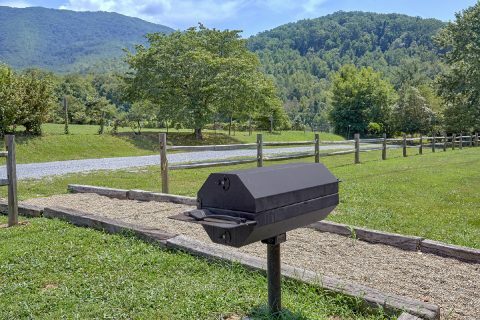 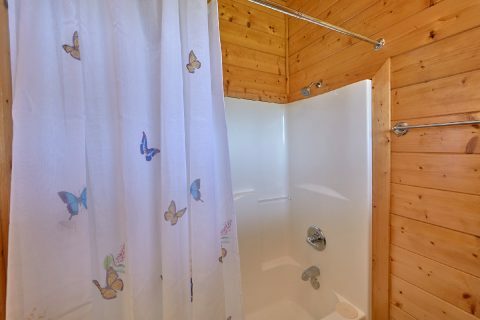 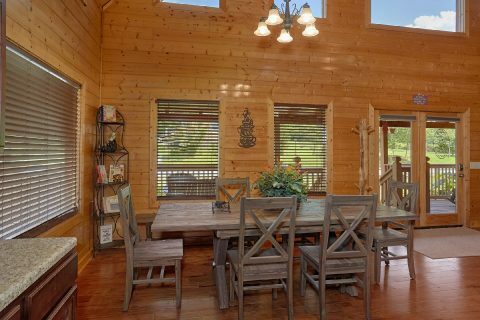 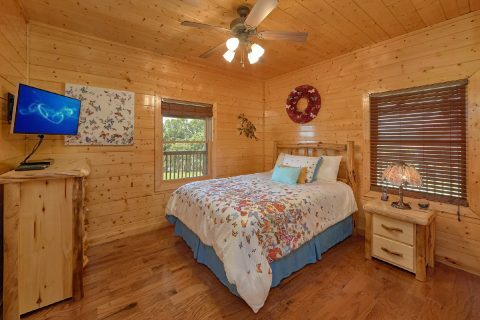 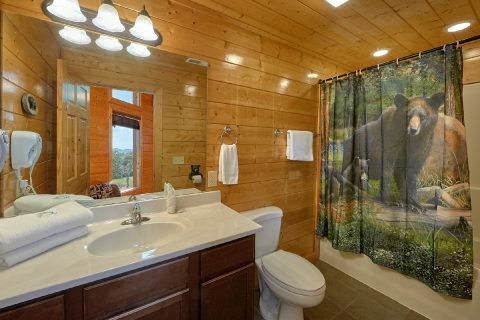 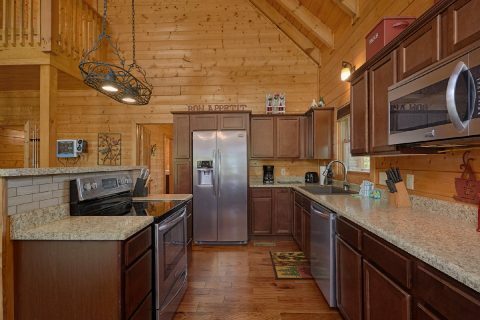 Like many of our Wears Valley cabin rentals, "Honey Bear" offers guests a tranquil relaxed setting that draws families into their Smoky Mountain surroundings and lets them thoroughly embrace nature. 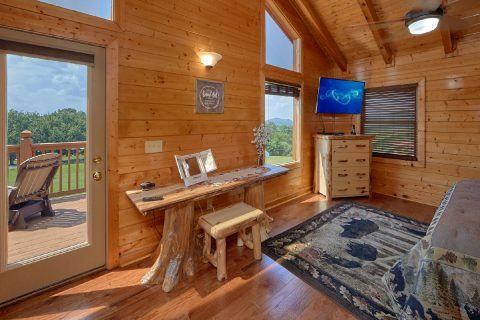 Your cabin rental near Gatlinburg is a few short scenic miles from historic Cades Cove with its working Grist Mill, nature trails, and early settler buildings. 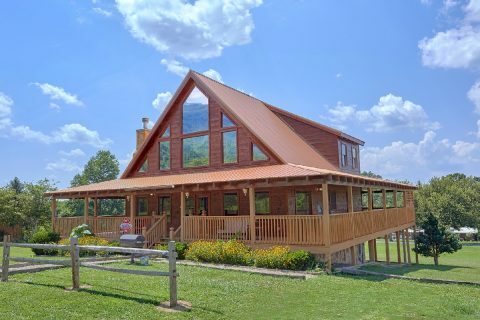 In the other direction, enjoy the attractions of Pigeon Forge. 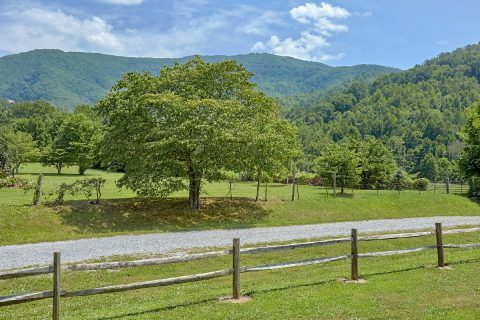 Your family will treasure staying in Wears Valley - a charming area with a laid-back atmosphere and beautiful natural scenery. 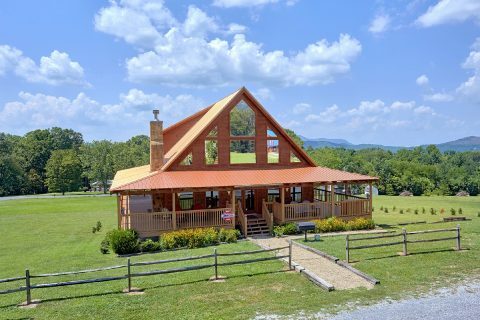 There are several family owned eateries, antique shops and unique gift shops throughout the valley offering adventures of their own. 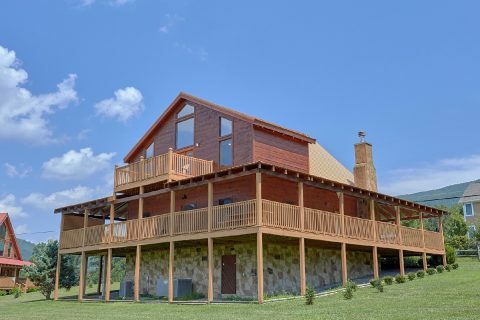 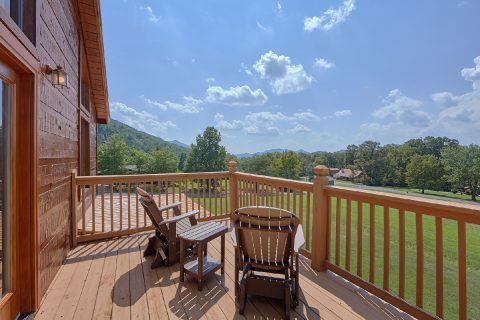 Your cabin rental in Wears Valley provides your family with scenic Smoky Mountain views from the massive wrap-around deck! 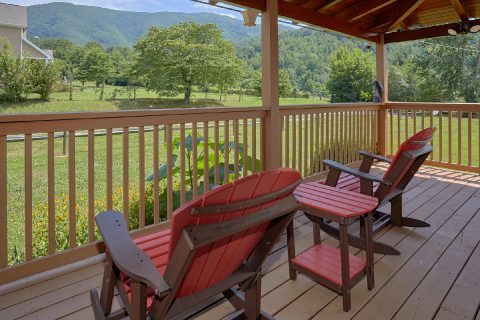 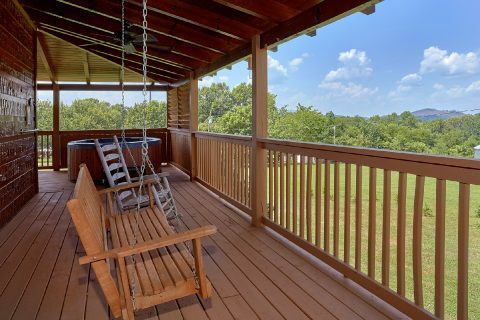 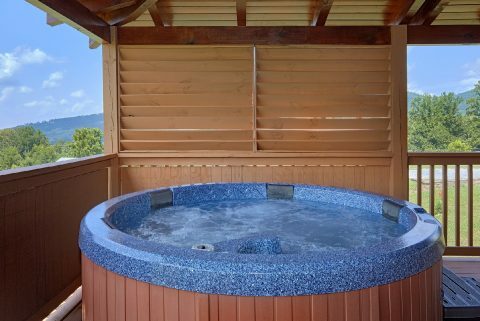 Take advantage of all it has to offer with its year-round hot tub, charcoal grill, picnic table, porch swing, and rocking chairs. 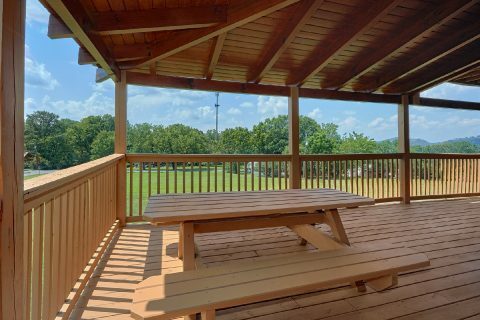 The large yard gives kids (of all ages) plenty of room to play. 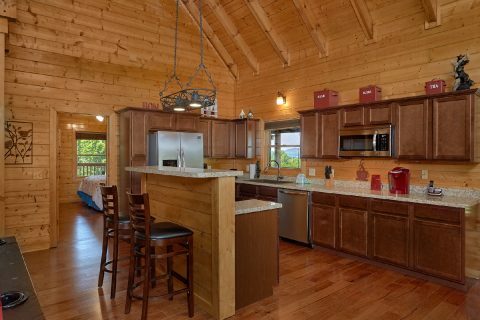 Inside the cabin's fully equipped kitchen allows families to enjoy meals whenever it's convenient in the privacy of their cabin getaway. 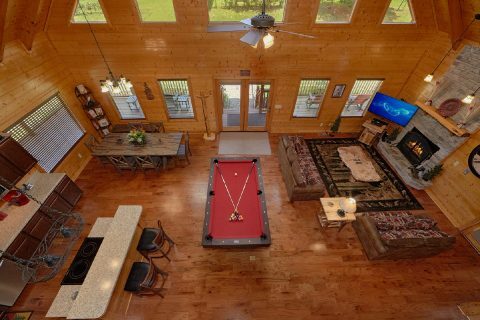 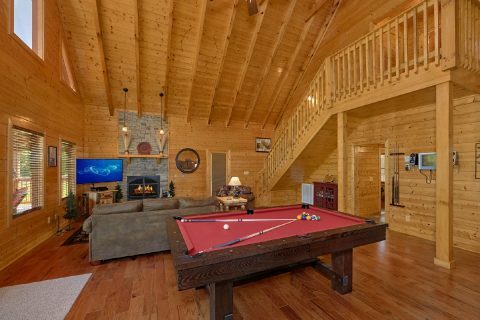 After dinner, family members can enjoy sharing pictures and posts with friends over the cabin's WiFi Internet, play games of pool, or watch a movie from the cabin's DVD Library on the flat-screen television. 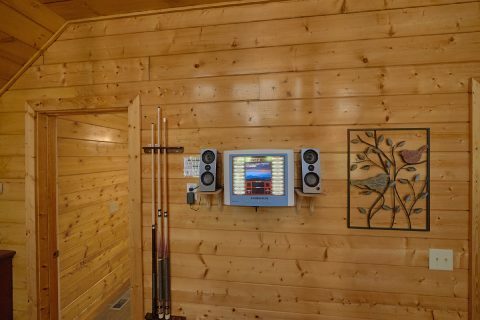 A cabin jukebox is great for making festive occasions and fun cabin memories. 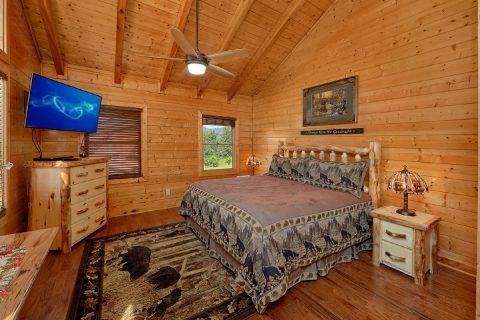 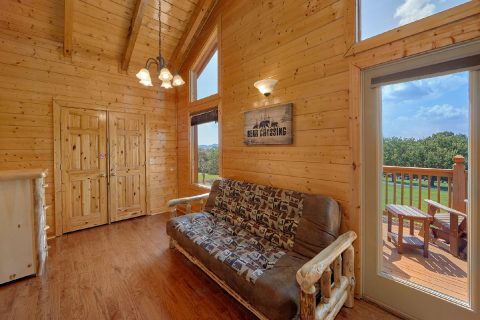 There's plenty of sleeping space for 9 guests in this cabin rental near Gatlinburg with a king master suite with an extra futon, two queen bedrooms, and a living room sleeper sofa. 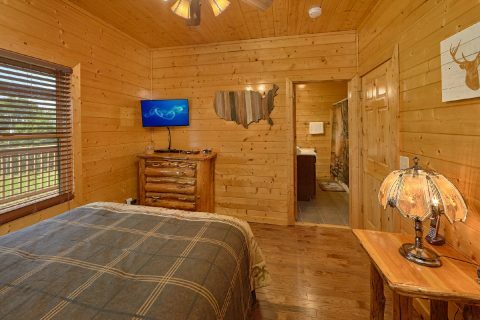 All three bedrooms offer televisions with Blu-Ray DVD players and the master suite has an in-room jacuzzi. 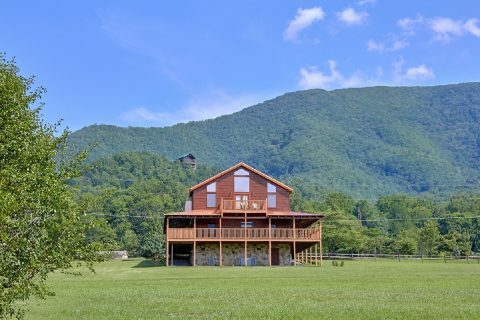 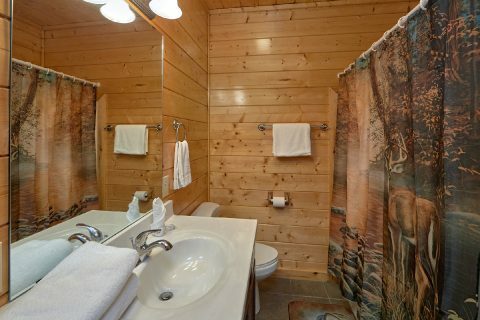 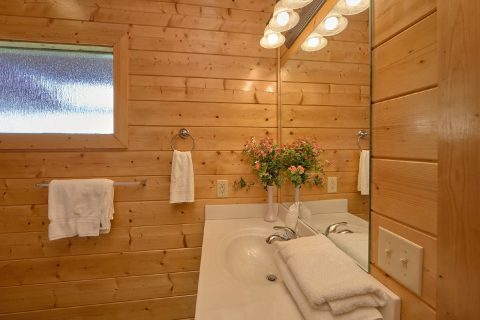 Book this wonderful cabin rental in Wears Valley or one of our many other cabin rentals! 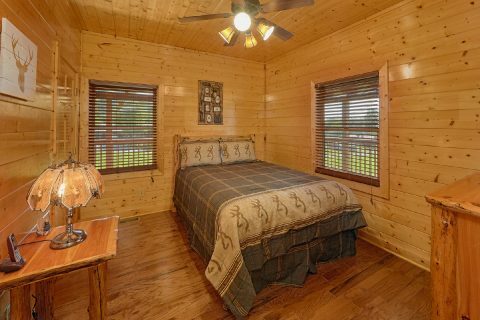 Gatlinburg, Pigeon Forge, and the Smoky Mountains provide the perfect place for your family's cabin vacation in the Tennessee!